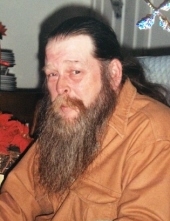 MORRIS, Jeffrey M. - age 67, of Flint Twp. passed away February 2, 2019. A committal service with Military Honors will be held 1:30 pm Friday, March 15, 2019 at Great Lakes National Cemetery 4200 Belford Rd., Holly. Arrangements by Sharp Funeral Homes, Fenton Chapel. 1000 Silver Lake Rd., Fenton. Jeffrey was born September 17, 1951 in Flint the son of Barbara (Adams) Morris. He proudly served in the US Navy. Jeffrey was employed by AT&T as a Lineman. He was a member of Skidway Lake VFW Post 370, Jeffrey enjoyed hunting, fishing, camping, and sailing, and watching John Wayne Movies. Surviving are: wife, Judith "Judy" Niemi-Morris; mother, Barbara Morris; sisters, Kathy (Terry) Hoffman, and Val (David) Alexander; nieces and nephews. Online tributes may be shared at www.sharpfuneralhomes.com. To send flowers or a remembrance gift to the family of Jeffrey M. Morris, please visit our Tribute Store. "Email Address" would like to share the life celebration of Jeffrey M. Morris. Click on the "link" to go to share a favorite memory or leave a condolence message for the family.